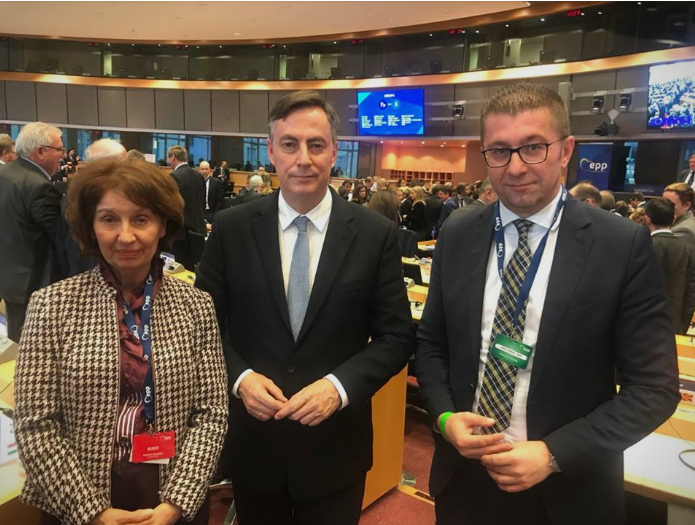 I met with David McAllister, EPP Vice-President and President of the European Parliament Committee on Foreign Affairs. We expressed our concerns about the violations of the election process and the bad experience with the numerous offenses in the last referendum, as well as the lack of will by the government in Macedonia to get a legal solution. 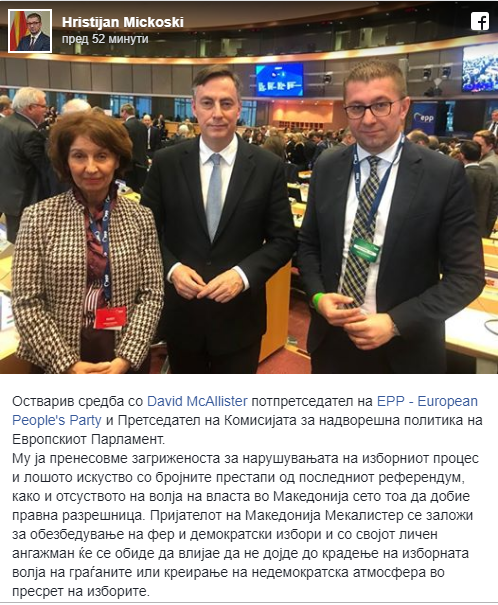 Macedonia’s friend McAllister pledged to ensure fair and democratic elections, and with his personal commitment to try to prevent stealing the election will of the citizens or creating an undemocratic atmosphere ahead of the elections, VMRO-DPMNE leader Hristijan Mickoski wrote on Facebook. They can kill us, they can arrest us, but the faith in justice for Macedonia will never disappear!